A Southern girl with an overactive imagination, RITA® Award winner Terri Garey grew up in Florida, always wondering why tropical prints and socks with sandals were considered a fashion statement. A former computer analyst, she now spends her time writing demented tales from the dark side. 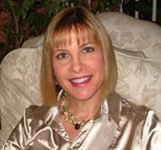 Read excerpts of her novels at Terri Garey’s website. CLICK HERE FOR MORE BY TERRI GAREY. Nicki Styx — (2007-2009) Publisher: There’s something about almost dying that makes a girl rethink her priorities. Take Nicki Styx — she was strictly goth and vintage, until a brush with the afterlife leaves her with the ability to see dead people. Before you can say boo, Atlanta’s ghosts are knocking at Nicki’s door. 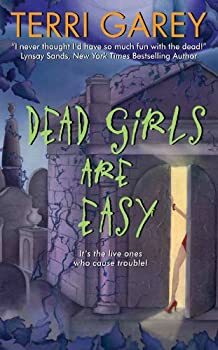 Now her days consist of reluctantly cleaning up messes left by the dearly departed, leading ghouls to the Light… and one-on-one anatomy lessons with Dr. Joe Bascombe, the dreamy surgeon who saved her life. All this catering to the deceased is a real drag, especially for a girl who’d rather be playing hanky-panky with her hunky new boyfriend… who’s beginning to think she’s totally nuts. But things get even more complicated when a friend foolishly sells her soul to the devil, and Nicki’s new gift lands her in some deep voodoo. As it turns out for Nicki Styx, death was just the beginning. When vintage-boutique owner Nicki Styx suffers a near-death experience, she comes back from the Light with the ability to see and hear ghosts. Before she knows it, the dead are hounding her day and night, in the hopes that she'll help tie up their loose ends. Sometimes this just means passing on a last message of love. But when Nicki's friend Caprice is killed, Nicki's life really gets messy.